Queenstown is located on Lake Wakatipu, in the southern alps mountain range on New Zealands southern island. Book your perfect motorhome or campervan rental online before you travel and begin your holiday as soon as you step off the plane, from one of our Queenstown campervan hire, motorhome rental and recreational vehicle (RV) rental agents; including Britz Campervans, Maui Motorhomes and Spaceship Campers. Holiday parks and campground sites can be pre-purchased online before your New Zealand holiday. These can either be pre-booked to a set route (recommended in peak periods, and with pre-planned itineraries); or pre-purchase open dated vouchers for New Zealand Holiday Parks and campgrounds, that you can use whilst you drive through New Zealand. Queenstown city and surrounding region are a very popular destination for visitors, and regarded as the adventure capital of New Zealand. There are many adventure and relaxation activities available on and around Lake Wakatipu. Queenstown lies at the foot of the Remarkables mountain range, offering opportunities for gentle hiking to extreme mountain-biking to paragliding to get a bird’s eye view of this stunning region. Animal lovers can explore the nature by foot or on horseback. There is something for everyone in Queenstown! 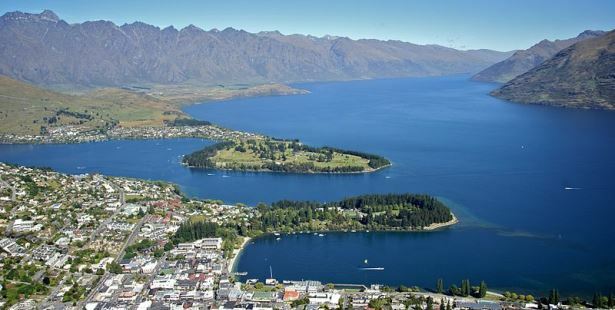 There are holiday parks and caravan and camping sites that will accept motorhomes, campervans and recreational vehicles with truly amazing locations and facilities in Queenstown and surrounding areas. New Zealand roads are known for being narrow and windy; so overestimate your travel time and make sure the driver gets enough rest. Do make sure to read up on the rules of the road before getting behind the wheel. 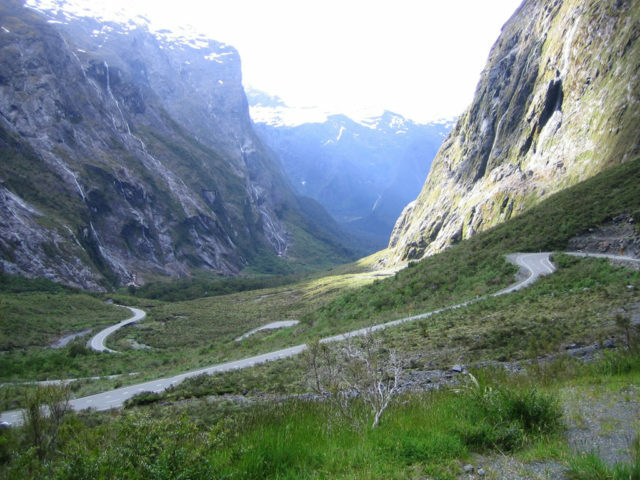 Explore Fiordland National Park by campervan hire. Get down into the Te Anau Glowworm Caves, which are exactly what they sound like! 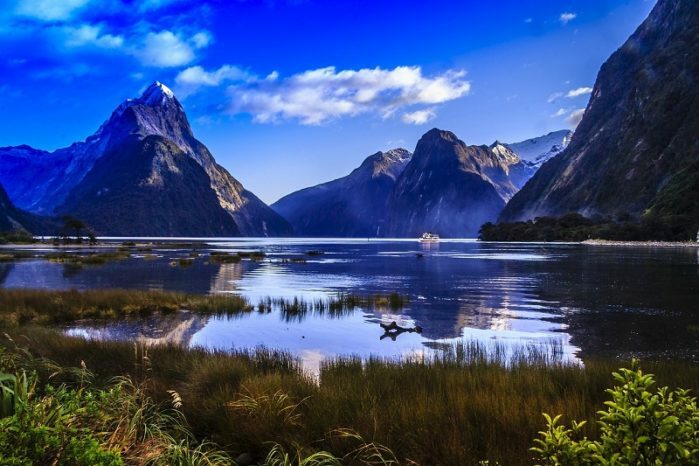 Your motorhome trip in the region will take you to nearby Milford Sound; a fiord stretching 15km inland from the Tasman Sea that has been described as the 8th wonder of the world. Explore Fiordland National Park and Te Wahipounamu World Heritage Site. The Milford Sound region also has many adventure activities, hiking and cruise opportunities. The landscape in the Queenstown region is so dramatic that you will never tire of it. The more you explore, the more you discover. In fact, the region has been named the best traveler destination in the world. So start planning your campervan or motorhome rental holiday now to see it for yourself! At the end of your trip, return your hire RV rentals to your Queenstown campervan hire, motorhome rental or recreational vehicle agent at Queenstown Airport, or alternatively cross over to the North Island and drive through to Auckland for your flight home.